Hey luvahs :) How you doin? I can't believe I didn't own this polish until very recently. 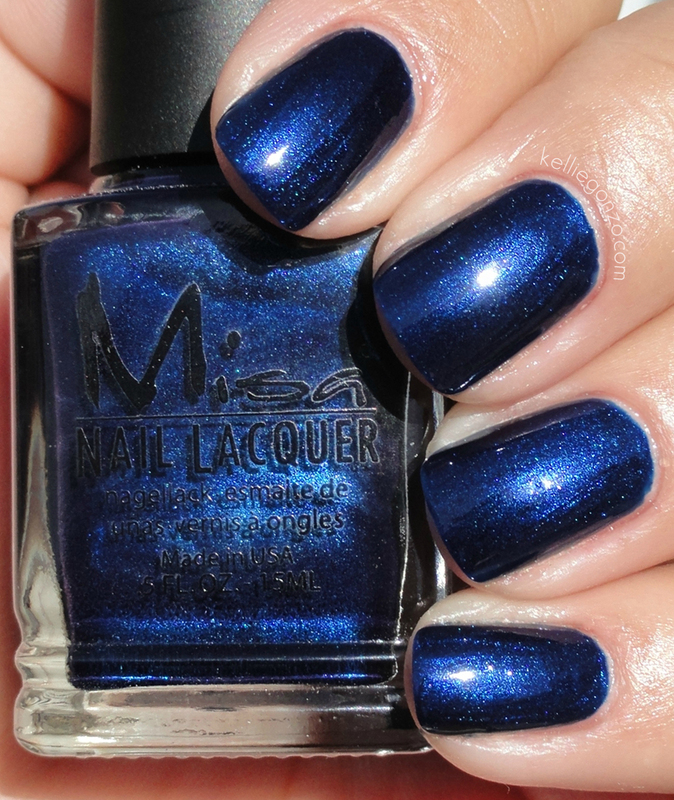 Misa's A Sin Worth Committing is arguably their most famous lacquer, a glowy navy blue with shimmer that won't quit. This is freaking beautiful. I showed it to you the other day with the new Cult Nail's flakie layered but here is it on it's own. This is two coats. I had to layer one of my new Nabi glitter polishes over this guy, called Party Mania Glitter. This is a new brand to me, I really like their selection and the bottle design! 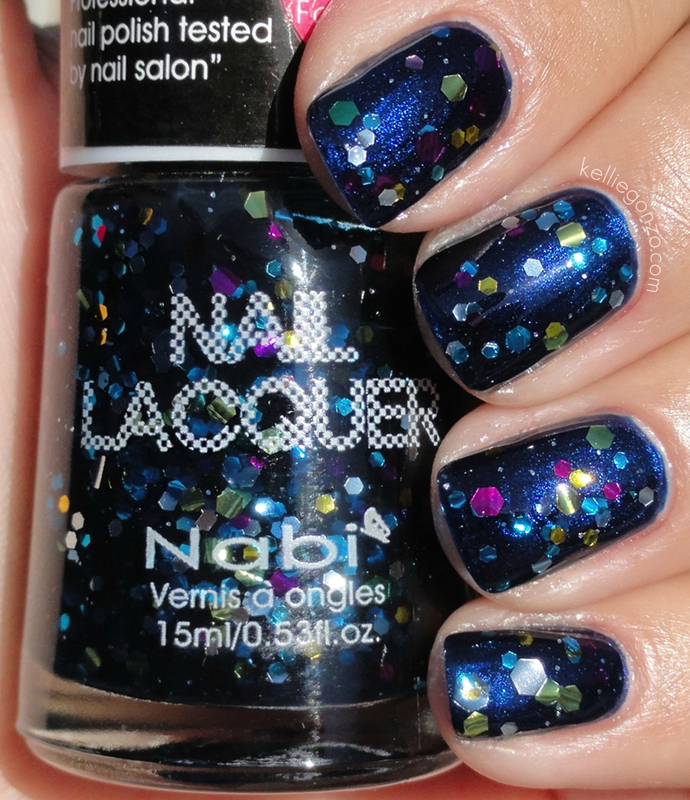 This has different colored hex glitters in big and medium sizes in a dark blue jelly base. This is two coats.